Who Can Enrol on a NEBOSH General Certificate Course? Despite containing a lot of information, with the course comprising ten days of training, the NEBOSH General Certificate is in fact open to anyone to enrol upon as there are no formal pre-requisites. Whilst some with little or no health and safety knowledge may prefer to enrol upon a shorter and less detailed course such as the IOSH Working Safely, many others will wish to achieve as high a qualification as they can. 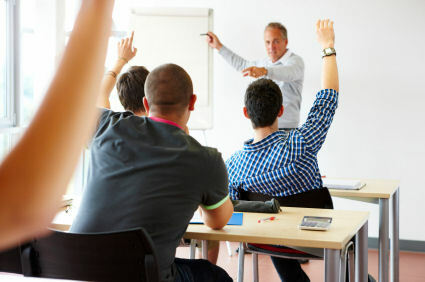 Whilst a NEBOSH National Diploma qualification (int) would be unsuitable for those with no previous health and safety training (int) or experience in the industry, the syllabus of the NEBOSH National General Certificate in conjunction with the input of the course tutor means that it is suitable for those who are completely new to the subject of health and safety in the workplace. The NEBOSH General Certificate syllabus is extremely broad and encompasses a tremendous variety of potential health and safety risks and hazards that can pose a danger to workers, visitors, members of the public in the vicinity and the local environment. Those that attend and successfully pass the assessments and achieve the qualification will therefore have acquired a vast amount of useful information regarding how to keep themselves and others safe in the workplace and minimise the probability of accidents and dangerous incidents occurring. Not only will the course provide useful information for staying safe at work, but it will also provide successful students with a comprehensive base and foundation of knowledge which can then be utilised for taking of higher level health and safety qualifications or specialising in a particular subject area such as fire safety, not to mention embarking upon a health and safety career with a role like a health and safety trainer or consultant. For more information on the course, visit the site of a health and safety training company like Associated Training at www.associatedtraining.co.uk who provide NEBOSH General Certificate courses at venues across the United Kingdom.